If the stress of the upcoming holidays and the post-election results are getting to you, now is the time to think about a long overdue cruise for some much-needed rest and relaxation. Holland America Line is making it super easy to add a vacation on top of your priority list with an enticing ‘Explore 4’ package offer and a whole bunch of savings. The only catch? It’s coming to an end, and you need to book your package deal by Nov. 18. The cruises are set to depart between January 2017 and April 2018, so you can plan now and travel later. There are a wide variety of vacation destinations to choose from, including Australia and New Zealand, Bermuda, Asia, South America, Canada & New England, Hawaii, Mexico, Caribbean, Panama Canal, Alaska, and Europe. Once you narrow down where you want to cruise and book it before Thanksgiving, you’ll enjoy a tremendous amount of savings, which makes traveling friendlier on your budget, especially at holiday time. The trips include a Signature Beverage Package, Pinnacle Grill dinner, reduced cruise fares for friends and kids, and a 50 percent reduced deposit. The Signature Beverage Package is for guests 21 and over and includes a variety of wines, beers, spirits and cocktails, after-dinner coffee drinks; made-to-order espresso drinks and poolside sodas and beverages. The Pinnacle Grill has a menu of dishes inspired by America's Pacific Northwest, including seafood and sustainably raised beef from Washington State's Double R Ranch. On the ms Rotterdam and ms Eurodam, the Pinnacle Grill features the three-star Michelin cuisine of Jonnie Boer's "Taste of De Librije” once per cruise. Suite guests will also receive an additional $200 internet credit and prepaid gratuities. Finding an affordable vacation is a great way to start off the New Year. The biggest question you’ll have to ask isn’t ‘should we cruise,’ but ‘where should we cruise,’ and ‘how long should we cruise’?’ Do you want to hike up to Stavanger's famous Pulpit Rock in Europe to earn a boxed lunch and incredible views? Do you want to enjoy a 6 to 8 hour sightseeing excursion in Alaska’s Denali National Park? Does the idea of cruising the largest human-made lake in the world excite you? Maybe you would prefer to relax on the beach of Turks & Caicos while sipping a cocktail? Is riding a camel in Mexico on your bucket list? Have you always wanted to see the port of Santo Tomás de Castilla, home to a 16th-century Spanish fort, Castillo de San Felipe. 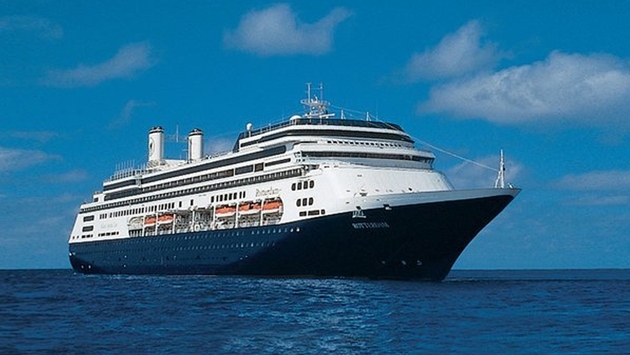 These are just a few examples of Holland America cruising itineraries. Whether you’re looking to travel closer to the states or want to take an excursion far from home, Holland America offers a variety of Explore 4 packages. 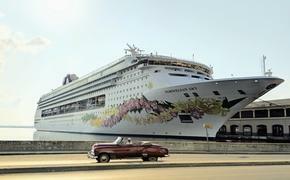 Costs vary depending on the stateroom you choose and the length of stay. And if you can’t afford to pay for the entire trip now, don’t worry. Take advantage of the 50 percent reduced deposit offer so you’ll have more flexibility to pay off the final deposit. Maybe it’s time you give yourself the ultimate holiday gift of travel.